Everything has its history. That what makes people and places unique. The historical background of such an ancient city as Istanbul is full of varieties of fortune. 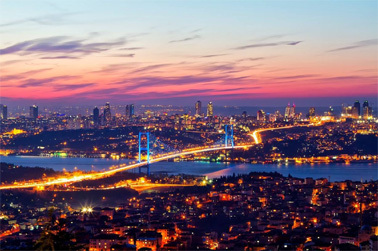 What is peculiar about Istanbul is that this Turkish city happened to belong to 4 great empires: the Roman, the Byzantine, the Latin and the Ottoman ones. That particular fact asserted significant influence over the development of the modern Istanbul. The city that today we call Istanbul was founded as a settlement called Lygos between 13th and 11th centuries BC. In 667 BC Lygos was taken by Greek tribes who called it Byzantium. In 74 BC Byzantium was captured by the Roman Empire. That was the first Empire period in Istanbul’s history. In 324 the Roman Emperor Constantine founded the city of Constantinople, which became a capital of the Roman Empire. The Romans had been constructing magnificent churches and had been creating architectural masterpieces in Constantinople. When the Roman Empire broke down Constantinople passed into control of the Byzantine Empire as its capital. In fact, the Eastern Christianity originated in Constantinople. The Byzantine period turned Constantinople to prospering city with splendid palaces and beautiful churches. In 1204 Constantinople was ravaged by crusaders that established the Latin Empire in the area to which Constantinople belonged. The Latin Empire had survived till 1261 when Byzantium was revived by the Palaiologos dynasty. In 1453 Constantinople was taken by the Ottoman Empire and became its capital. The Ottoman Constantinople experienced plentiful growth of construction and rebuilding of churches to mosques. In the 16th century under the command of Suleiman the Magnificent Constantinople became a centre of the Islamic Caliphate. In 1923 the national movement headed by Kemal Atatürk established the Republic of Turkey and transferred the capital of the country to Ankara. Kemal Atatürk enacted legislation and established a country following the example of European countries. Due to various restrictions and innovations Islamic Caliphate was transformed to the modern secular state. In 1930 Constantinople was renamed Istanbul. 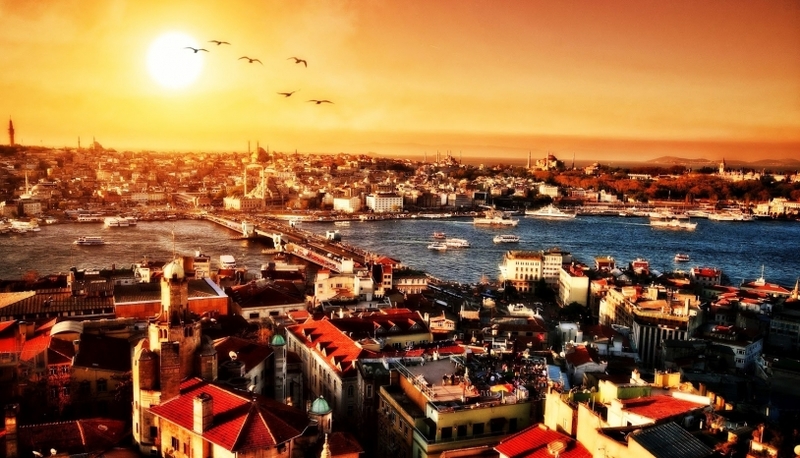 Nowadays Istanbul is a cultural and commercial centre of the Republic of Turkey. In the course of the historical development this city acquired a distinctive character and unique traditions that are still kept up by the locals. Istanbul is a place where ancient national identity prospers in civilization.